→Can Dogs Sniff Out Bed Bugs? For the last two posts, we've been discussing the amazing ways dogs protect our health: sniffing out early stage cancer, warning epileptics before they have a seizure, letting diabetics know when their blood sugar is going too low, easing the anxiety of those suffering with PTSD, helping children with ADHD stay on task, and much more. Today, we're going to talk about how dogs sniff out bed bugs to protect you and your family! Can dogs sniff out bed bugs? You bet they can.... swiftly and with amazing accuracy! In fact, they are far more accurate than any other technique that has been developed by the pest control industry because bed bugs are notoriously hard to see, especially the newly hatched translucent nymphs that have not had their first blood meal! Dogs have such sensitive noses, they can actually pick up on the presence of a single bed bug or a single bed bug egg! The National Pest Management Association (NPMA), the largest trade association of pest management, reported in a 2011 industry publication that a team of bed bug detection dogs would be particularly useful in cases where bed bugs were suspected but where live bugs or viable eggs could not be visually found. They also suggested that all teams, both dogs and human handlers, should be certified by the National Entomology Scent Detection Canine Association (NESDCA) to ensure effective training. 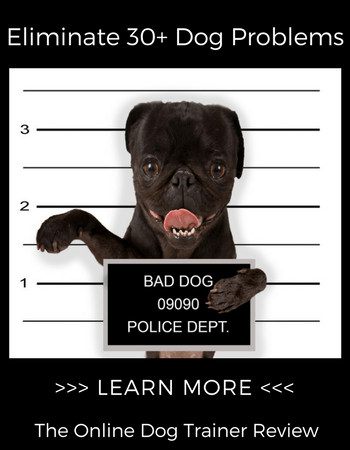 If you look to hire a company that uses bed bug detection dogs, make sure the dogs and handlers have received this training. The training is actually fun for the dogs because to them finding beg bugs is as fun a game as chasing a Frisbee or playing tug-o-war. Live bugs and or eggs are hidden in canisters or in mocked up bedrooms, hotel rooms, or dorm rooms. When a dog successfully identifies the pace(s) bed bugs are hiding, they are given a treat and lots of praise and love. They are also trained to distinguish between dead bed bugs and old eggs from old infestations and live bugs and viable eggs that need to be treated. Most companies use at least two dogs to detect bed bugs to see if they get the same results with both canine noses. One eco-friendly pest eradication outfit in Montreal trained their bed bug sniffing dogs in part by having them smell street side discarded items like old mattresses and furniture. The scariest part about this story is they actually found bed bugs at three different places within one block of their own residence! The best thing about using a team of dogs to sniff out bed bugs is you get near 100% reliability in detecting only the spots where they are hiding and you can treat less of your home. You may also end up throwing out less of your belongings if you are confident where they are! Remember, a dog can detect just one grain sized bed bug! Are bed bugs a health risk to humans? Besides the gruesome "icky factor" of being bitten by bed bugs, these blood thirsty insects also pose a serious health threat to you and your family. Secondary infections are extremely common because the skin is broken by the bed bug bite. To make matters worse, some people find bed bug bites extremely itchy and can't resist scratching. This breaks open the skin even more and spreads infection. Almost any type of skin, blood, and or lymph node infection is possible. However, hepatitis B and MRSA (Methicillin Resistant Staph infection, also called Medically Resistant Staph Infection) are among the top concerns. It should also be kept in mind that it has been shown that the HIV virus can survive inside a bed bug after a blood meal for at least eight days! This is one of the reasons that some scientists have not ruled out bed bugs being a potential primary vector of serious diseases, although the CDC currently claims they're not. Keep in mind too that both primary and secondary infections due to bed bugs are more possible in the very young (babies and toddlers), the elderly, and those that have a suppressed immune system. There have been a number of causes of individuals who were hypersensitive to bed bug bites going into anaphylactic shock, a life threatening situation. Additionally, getting bitten by bed bugs can be so psychologically traumatizing, it can cause PTSD in some individuals and insomnia and extreme anxiety in many more. In severe cases, bed bugs can draw so much blood, they cause anemia. This is quicker to happen in small children. 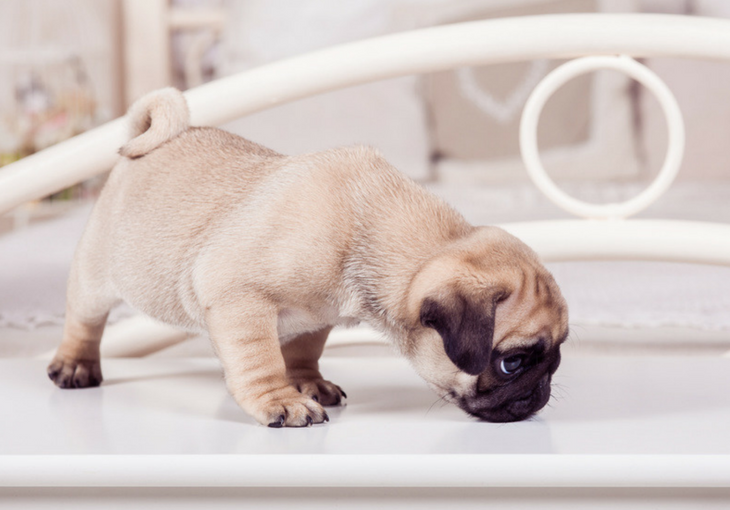 It may be worth your while to train your dog(s) to sniff out bed bugs. To do so, it would be much easier if you could find a local trainer to help you. However, don't be surprised if you have trouble finding one with this specific training experience as this is a burgeoning field. It is possible to order bed bugs online for the purpose of training a dog yourself but this is not for the light-hearted! Bed bugs must be fed at least once a month to stay alive and the only thing they eat is blood! Some professional bed bug detection dog trainers have resorted to allowing their bed bugs to draw blood from their own bodies! Now, that's dedication! Even if you come prepared with a flashlight and a magnifying glass and and you check the hotel mattress thoroughly, you can't always see them! Moreover, they are just as likely to be hiding behind the headboard nailed firmly to the wall as well as inside the nightstand, behind the baseboards, in the carpet, and nestled in the pictures hanging on the wall. They can even be hiding in the free bible in the drawer or inside the plastic casing of the radio alarm clock located within a few feet of your resting head. Of course, bed bugs just love to hitchhike back home with you inside your luggage, books, clothes, laptops, toys, and other travel items! So... if you do train your dog(s) to sniff out bed bugs when you travel and report any positives on your social media pages, you may set a trend that catches on very quickly! Who knows, you may develop a nice side income or even a new fully time business as well!